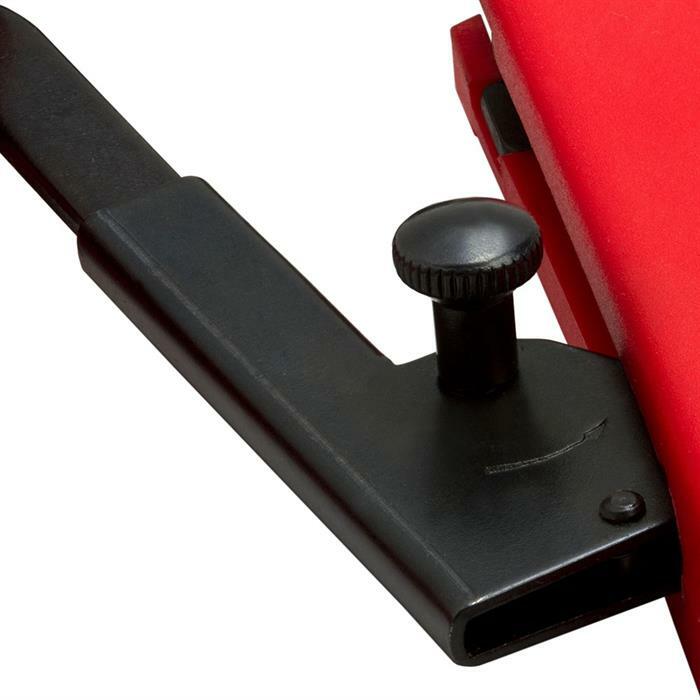 Crimp Tool is made to trim patch cords to any length you need. Our handy all-in-one tool helps you to terminate a plug with a stranded four-pair, unshielded, twisted-pair cable. Now you can crimp, cut, and strip with one convenient tool. 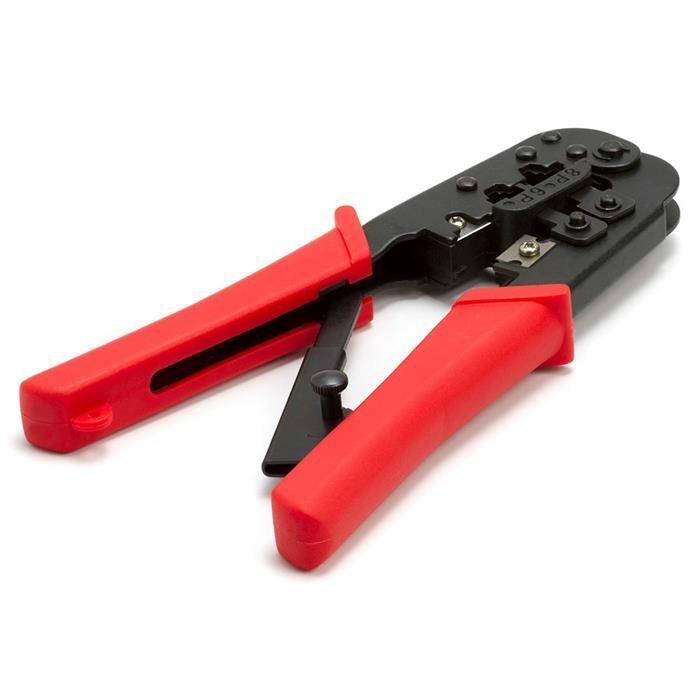 Crimping tools are used to attach the RJ45 (8P/RJ45 & 6P/RJ12, RJ11) connector to the Ethernet cables. 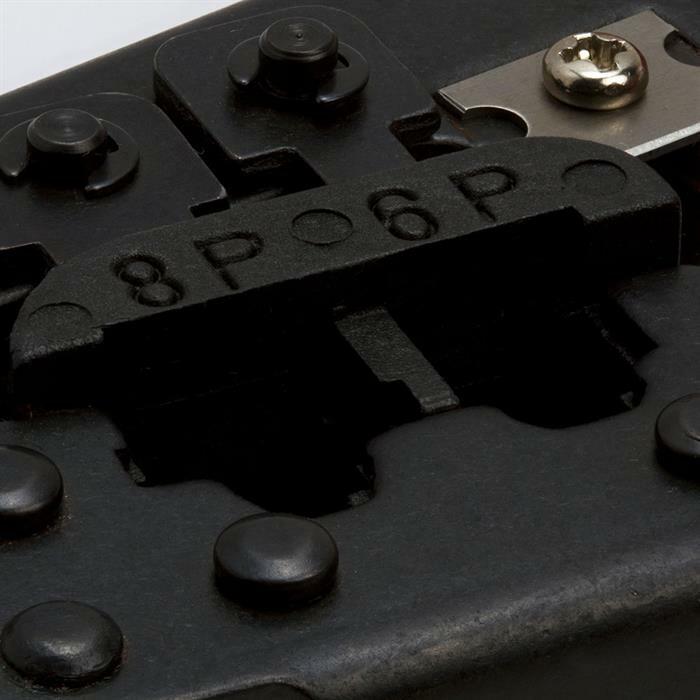 When the eight individual wires (varies) inside the cable have been connected properly, the connector is attached to the cable and the connector is placed into the crimping tool. Then, compact pressure is applied on the connector to secure it in place. 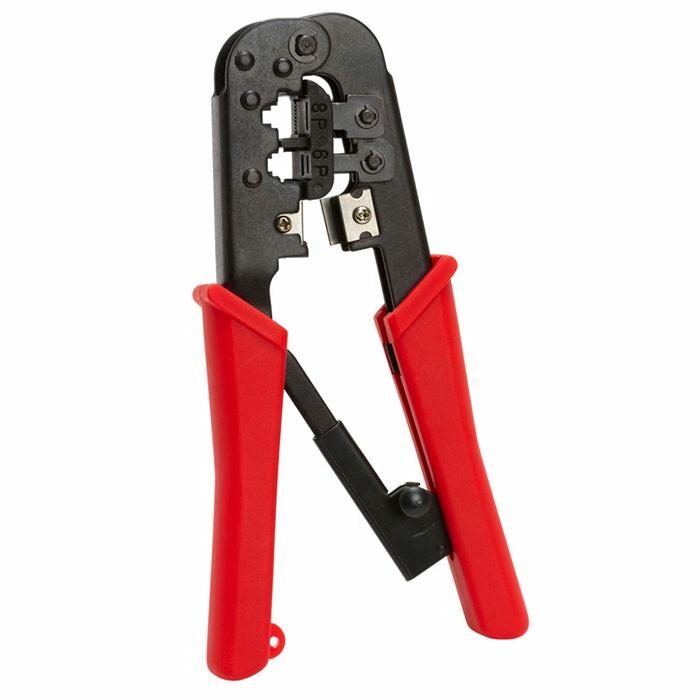 The crimping tool plays an important role in the construction of an ideal networking cable.